Catholic priests ministered to this parish from the grand church of St Mary before the Reformation. But that is now Anglican property, of course, and today's Catholic shepherds tend their flock in a humble little hall of a church in the shadow of their former glorious home. 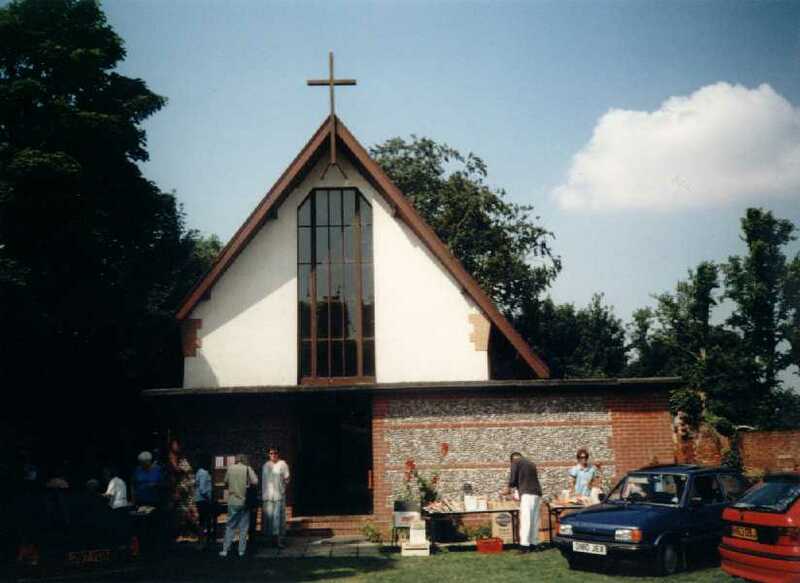 Suffolk idyll: Summer fete at St Edmund. This church is a Mass centre of the large parish of Southwold, and was built as recently as 1950; but, at a time when, nationally, practicing Catholics outnumber practicing Anglicans, and even in Suffolk are approaching something like parity, this little community need not feel itself remote or marginalised, despite the simplicity of its home, and its distance from other Catholic churches. I visited here in high summer, when a fete was in progress, and had a real sense of the liveliness of the parish. 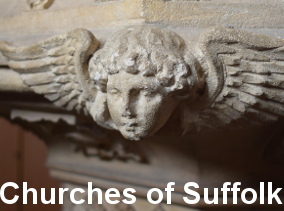 It is, perhaps, unfortunate that so many of Suffolk's Catholic churches were built in the decade or so before Vatican II; if they had come afterwards, I think they would be quite different. But here we have a simple, functional building, approached from the west through a small porch. We can see the same plan at Ipswich St James, Nayland, and a dozen other places. This anonymity is either a bad thing, if you like churches with real character, or a good thing if it reminds us that these churches all share the same communion, and are all tiny,but by no means insignificant, parts of the body of Christ. St Edmund, Halesworth, is in the centre of town, not far from the Anglican parish church. I found it open.